How much are axial fans and dehumidifiers worth per day? Are you a small water mitigation firm or carpet cleaning company handling water damage claims from the “Polar Vortex” of 2014? Do you know the allowable daily drying equipment rates you can bill the insurance companies for your structure drying equipment? Do you know the allowable square footage rates you can bill for water extraction, removal/demolition of wet drywall, insulation, ceiling tiles, carpet, pad, etc.? If the answer is no to either of these questions, you are more than likely losing profit. What if you could invest a nominal sum of money and make hundreds, possibly thousands of dollars more on your jobs? Well, you can! 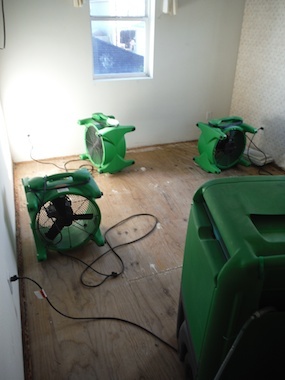 Get a Detailed Water Mitigation estimate so you can bill for the maximum allowable drying equipment rates most insurance companies will pay for. This includes costs for air movers, dehumidifiers, air scrubbers, and more. You can also get rates for set-up, take down, and drying equipment monitoring charges, and rates for water extraction and demolition tasks (removal of wet building materials). Ignorance is not bliss when it comes to your livelihood! Don’t risk losing profit on all of your hard work. Order a Detailed Water Mitigation estimate today!